Tragedy can happen at any time in your life. You can get ill or fired from job or the value of your favorite stocks might go down. You might even die and leave your dependents (I hope such situation you will never face in life). So, you need to plan for the worst situation. First, before you even think of investing your money, make sure you have an emergency fund, which should cover your monthly bills and expenses for at least 6 months. Second, you need to have a good medical insurance plan that protects you and your dependents. Finally, you need a life insurance (Term Plan) policy if you have people who depend on you. The sum insurance of the policy should be relative to how many dependents you have. You can learn many things by reading books and blogs, but sometimes, talking to someone is much better. A certified financial planner, advisor, or other expert may be the best option to help you figure out your situation. They can give you advice based on their experience or laws and regulations regarding financial instruments. Even if you have to pay them a small fee, at least you know you will be getting real, solid advice. If you are young and energetic, the best advice for you would be to keep working. Keep working for as long as you can because you have the best asset of all time. The longer you work, the more money you have to invest. If you don’t plan to have any retirement income then you need to work as long as you can, so you can build up your retirement fund. If you have watch movie Wall Street where the main characters are on the trading floor on Wall Street, buying and selling and making millions at the turn of a hat. However, the truth is, unless you had a lot of money, skill, and time, you can’t make a lot of money with individual stock purchases. However, something that has been proven is the power of long-term investing. If you invest now in good stocks from reliable companies (or in an index fund) and leave it there for 20 years (Long Term), you can have enough time to ride out any dips and still come out on top. Helping people through charities and other organizations is a great thing. These organizations give great service to the society and they help those who cannot help themselves. However, you must take care as well. 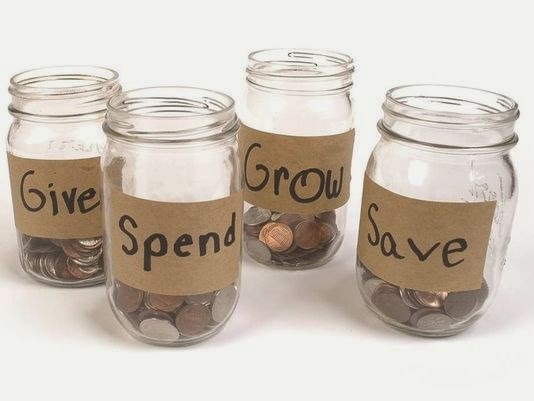 Do not give up all your money, and before you do decide on a giving plan, make sure you have yourself covered first. During the famous Dot Com boom of the late 90s, People asked investing maven Warren Buffet why he didn’t invest in tech stocks and start-ups. His answer was simply did not understand how they worked and how they made money. While many people think him old fashioned for not getting in on the Boom, this was ultimately what saved him from the impending crash. So, before you invest in individual companies, think of it as investing in a real business. Study the company and how they make money. And if you like the company and actually spend your money buying their products and services, then this could be a bonus. Any income you earn—including that from selling shares or even other ways, such as payments from when you buy a structured settlement—is taxable. That’s why before you sell any shares or take out money from your retirement fund, make sure you have enough money for the taxes so that your gains will not be wiped out by taxes alone. Abbasali, Great Habits to follow... ...Keep It !